Action movie "Fire of Conscience"
Hong Kong director Dante Lam's latest action movie "Fire of Conscience" hit the big screen around China on April 1st. Critics have touted that the movie raises the bar back to pre-1997 levels when Hong Kong action was king. In today's "Spotlight", we take a closer look at the behind-the-scene stories of the movie. 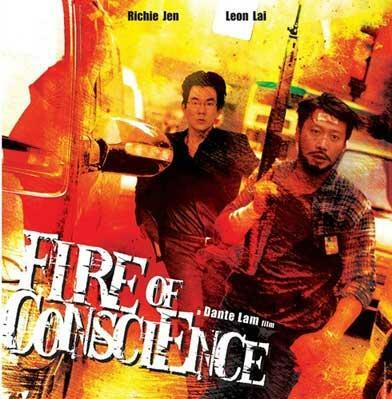 Dante Lam's visceral and exciting cop film "Fire of Conscience" is a tour-de-force movie experience in terms of breath-taking action and thrills. A poster of film "Fire of Conscience"
"Fire of Conscience" grabs you right from the opening credits with a stunning montage of freeze-framed black-and-white images, which offer clues to the complex crime story to follow. Hong Kong heartthrob Leon Lai surprised his fans with his beggar's image in last year's "Bodyguards and Assassins". This time, sporting a nifty beard, Lai is cast as the headstrong and heavy-handed detective Manfred, and even managed to perform the action scenes himself. Leon Lai, actor, said, "I knew there would be a lot of fights and bombs, so I prepared myself well before shooting. I did a lot of exercising, jogging and swimming, which improved my physical strength enough to deal with all those action scenes. " While looking into the murder of a prostitute, Manfred teams up with a former narcotics detective Kee played by Richie Ren. But Kee is crossing over to the other side, driven by greed. The role is a far cry from Ren's previous ones, most of which have been romantic comedy leads. Ritchie Ren, actor, said, "The director wanted me to lose weight to add more shadiness to my character. But before making any extra effort, I found myself thinner thanks to the hot weather and so many fighting scenes to shoot. " The movie marks the first cooperation between Richie Ren, Leon Lai, and the Chinese mainland star Wang Baoqiang who has rocketed to fame in recent years. Leon Lai said, "Wang Baoqiang is unassuming and hardworking, making him a very pleasant partner to work with. I like cooperating with different actors, which can give rise to new chemistry between us. That's good for both actors and movies." Director Dante Lam has explained the symbolism behind the movie title. It originates from the traditional fire dragon dance that Hong Kong residents used to practice to drive off pestilence. 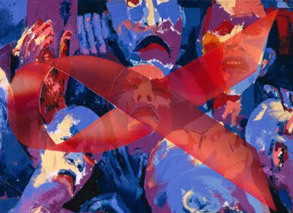 The director believes that there exists "pestilence" in all human beings' souls. We have to beat it with our strong wills and clear conscience. The movie revives the fire dragon dance which was popular in Hong Kong one century ago but is rarely seen today. The title music for the movie is created by Lui Cheun-Tak, one of the most talented composers in Hong Kong pop arena. Ritchie Ren said, "Lai suggested the two of us sing a duet of the theme song for the movie. At first I felt strange. But I liked the song instantly when Lui Cheun-Tak finished it. We hope the song can lead the audience into a deeper understanding about the movie." Produced with real verve and skill, "Fire of Conscience" is what urban, crime action from Hong Kong should look like in 2010.